For over 25 years Natural Balance has energized people's health and well-being by offering specialty supplements that work. Scientifically blending select, high-quality herbs into proprietary formula is our art. Helping people live healthier, more enjoyable lives is our passion. It makes sense. Regular elimination contributes to good health. That's why health experts emphasize the importance of cleansing and regular bowel movements. Cleansing offers a way to support vitality, energy and overall health. 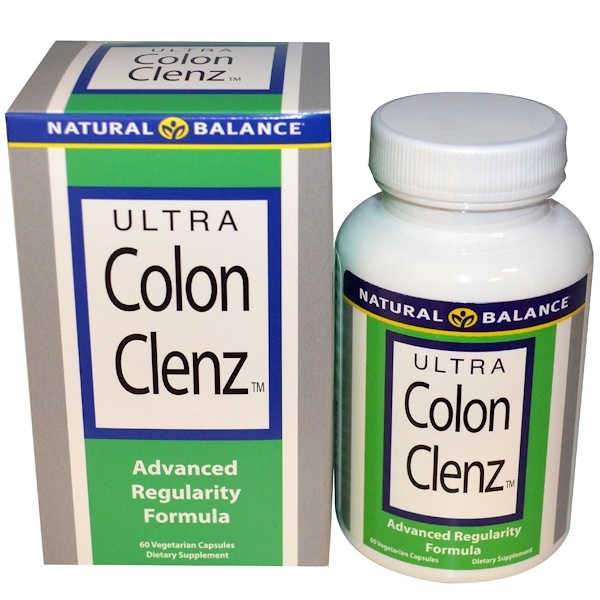 The Ultra Colon Clenz formula is a gentle blend of nature's cleansing herbs which are intended to provide nutritive support for healthy regularity and a clean internal environment. Digestive stagnation can sap your vitality, so drink plenty of water, eat high-fiber fruits and vegetables and trust the Ultra Colon Clenz formula to help you feel clean, refreshed and renewed. Use only as directed. 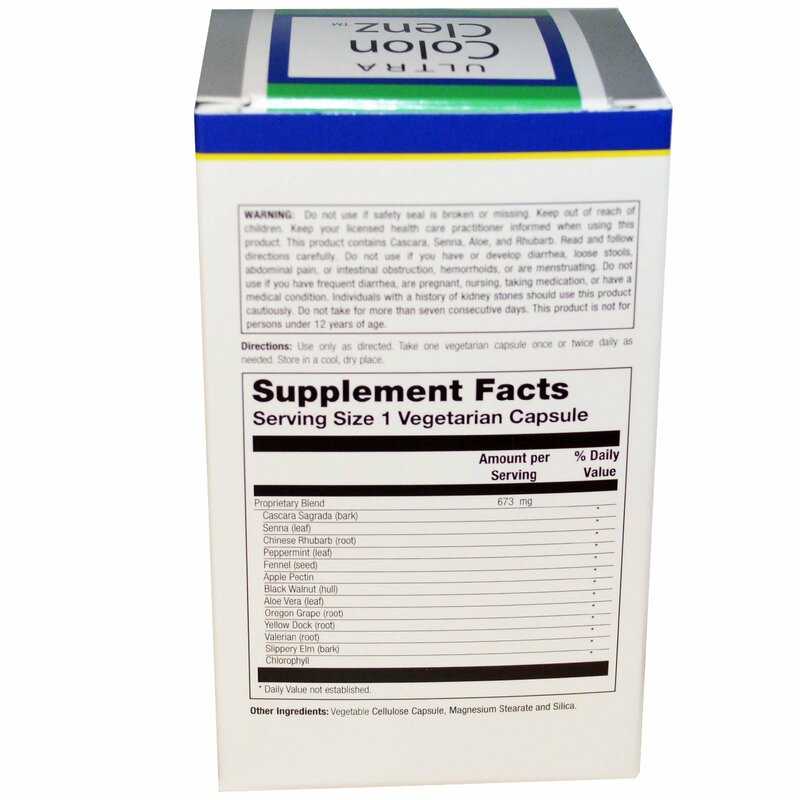 Take one vegetarian capsule once or twice daily as needed. Do not use if safety seal is broken or missing. Keep out of reach of children. Keep your licensed health care practitioner informed when using this product. This product contains Cascara, Senna, Aloe, and Rhubarb. Read and follow directions carefully. Do not use if you have or develop diarrhea, loose stools, abdominals pain, or intestinal obstruction, hemorrhoids, or are menstruating. Do not use if you have frequent diarrhea, are pregnant, nursing, taking medication, or have a medical condition. Individuals with a history of kidneys stones should use this product cautiously. Do not take for more than seven consecutive days. This product is not for persons under 12 years of age.